The single most prescribed drugs in the world are for pain. Popular anti-inflammatory drugs increase the risk of heart attack and cardiovascular disease. However, natural equivalents used in Ayurvedic medicine are not only more effective and reducing long-term pain, but they carry no high-risk side effects. Your poor joints are stiff, inflamed and achy from osteoarthritis–but the medications that reduce your pain also can have serious side effects, such as gastrointestinal bleeding, liver and kidney damage, and increased risk for heart attack and stroke. Consider the Ayurvedic approach to osteoarthritis treatment, which relies on natural herbs and spices to bring relief. There are no dramatic side-effects and the potential reduction in pain can be as high as 90%, blocking enzymes that produce inflammation. Mahanarayan Oil is an ancient Ayurvedic recipe that delivers powerful muscle and joint targeting herbs. A nourishing and strengthening oil with rejuvenating and analgesic qualities, it is used to soothe arthritis, sore muscles and tendons and prevents over-use damage. In Ayurvedic terms, Mahanarayan Oil is particularly good for supporting rejuvenation of joints affected by wear and tear, joint space narrowing, and synovial fluid dehydration. Nancy Lonsdorf, MD, author of The Ageless Woman: Natural Health and Beauty After recommends four specific herbs effective in treating arthritis. The following four Ayurvedic arthritis remedies have been used in ancient Indian medicines and in cooking for more than 5,000 years. And they really work–a study presented at a meeting of the American College of Rheumatology showed a combination herbal Ayurvedic therapy to be as effective in treating knee osteoarthritis as the commonly prescribed medication celecoxib (Celebrex). 1) Boswellia (Indian frankincense). This comes from the resin of the Boswellia serrata plant. It works by blocking an enzyme involved in the formation of leukotrienes, chemicals that trigger inflammation. Note: Boswellia may cause a reaction in people who are allergic to ragweed, and it can irritate the gastrointestinal tract (especially if taken alone rather than in a balanced combination formula as traditionally used) . 2) Turmeric. The active ingredient in this spice, curcumin, interferes with three important inflammation-producing enzymes–so it disrupts the inflammatory process at three different stages, said Dr. Lonsdorf. Turmeric also may provide some protection against the damage that pain-relieving medications can do to the gastrointestinal tract. Curcumin has been found to actually outperform pharmaceuticals while preventing disease. Turmeric contains more than two dozen anti-inflammatory compounds, including sixdifferent COX-2-inhibitors (the COX-2 enzyme promotes pain, swelling and inflammation; inhibitors selectively block that enzyme). The component in turmeric most often cited for its healthful effects – is a multifaceted anti-inflammatory agent, and studies of the efficacy of curcumin have demonstrated positive changes in arthritic symptoms. 4) Ashwagandha. Ashwagandha or Indian winter cherry is considered one of the most important herbs in ayurvedic system of medicines. Because of its vast area of application, ayurvedic physicians have used it extensively in curing people from their ailments. It works in suppressing arthritis pain and any pain for that matter. It possesses this property due to its natural potency, which helps in eradicating pain Due to its properties it has gained lots of respect in the eyes of herbal healers. Lab studies suggest that it has anti-inflammatory properties that protect against cartilage damage. In addition, animal studies provide evidence that the herb combats stress. Dr. Lonsdorf explained, “When we are stressed, the hormones cortisol and epinephrine cause a breakdown of various body tissues. Ashwagandha helps alleviate the damaging effects of stress by restoring the proper hormonal balance to the nervous system, which in turn strengthens the immune system and further reduces inflammation.” Caution: Since Ashwagandha makes your immune system more active, it is not appropriate for people who have an autoimmune disorder, including rheumatoid arthritis. 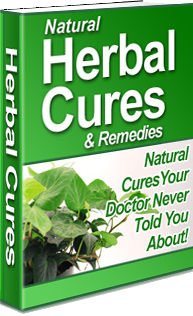 Ayurvedic herbal products are available in health-food stores and online. For maximum convenience and effect, Dr. Lonsdorf recommended that osteoarthritis patients take an herbal supplement that combines several of the herbs and spices listed above as well as other natural ingredients that further support joint and bone health. These products may not contain turmeric, so Dr. Lonsdorf suggested using the spice liberally in the kitchen. “Turmeric added to food is more important than in a formula because you can get much a greater quantity that way. I recommend adding turmeric to every meal and cooking it into each dish, even if only in small amounts, for its cumulative anti-inflammatory and antioxidant protection,” she said. To make sure that the specific ingredients are safe and appropriate for you and to get dosage recommendations, consult a physician who is knowledgeable about Ayurvedic medicine. To find such a practitioner, visit the Web site of the Light on Ayurveda Education Foundation. Try this Ayurvedic approach for eight weeks to see whether these remedies relieve your osteoarthritis symptoms. If they do, Dr. Lonsdorf said that you can continue to take them indefinitely, reducing to the lowest dose that maintains your improvement.